It’s going to be ALL CLEVELAND, ALL NIGHT. COME EARLY (6:00PM) to watch the second episode of HBO’S “Hard Knocks” featuring our Browns. And at 7PM we will also be streaming the Indians/Orioles game on one TV. 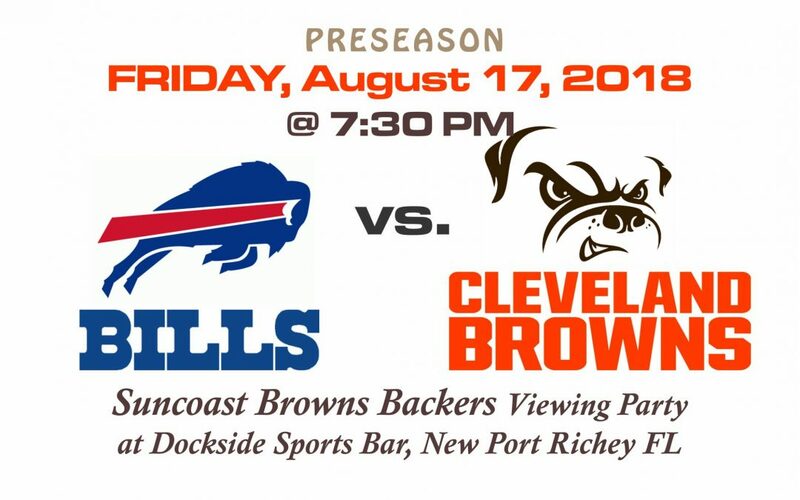 Starting at 7:30PM, it’s PRESEASON – Buffalo Bills vs Cleveland Browns in the Land. 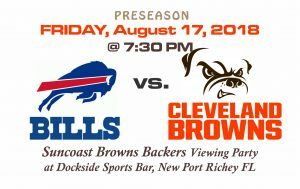 Join Suncoast Browns Backers at Dockside Grille for the game for all the fun! GO BROWNS (AND INDIANS)! !